While Switzerland may be the original watch-making superpower, Japan has developed its horological industry into an equally impressive player. As the Swiss have honed their traditional skills to create the most luxurious timepieces in the world, the Japanese have embraced technological innovation to produce the most functional. At the forefront of Japan’s booming watch industry are brands like Citizen, Seiko, Orient, and G-Shock. Labels, such as these, see an incredible supply of highly efficient designs with quartz or mechanical movements and sophisticated features come out of the country. 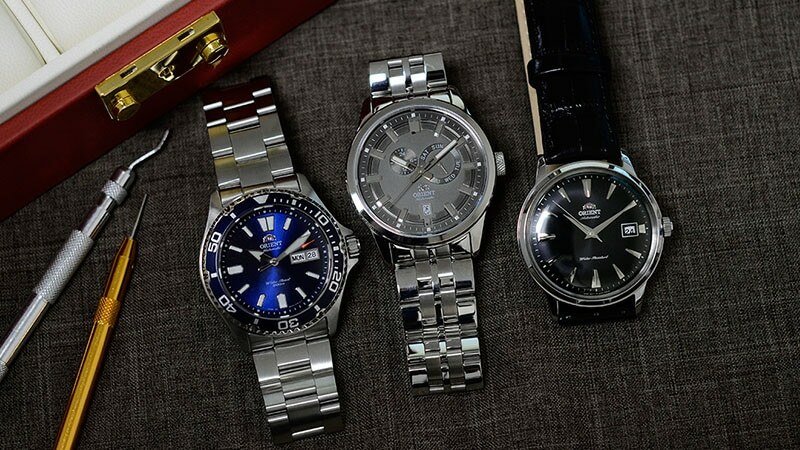 But, with so many quality Japanese timepieces on the market, it can be difficult to choose which to buy. These are the best Japanese watches on the market right now. The Citizen Eco-Drive AT4010-50E is a titanium dive watch that is suitable for professional marine activities (excluding scuba diving) and serious surface water sports. The impressive timepiece boasts atomic timekeeping technology for superior accuracy and a one-second chronograph that measures up to 60 minutes. Thanks to Citizen’s Eco-Drive technology, this innovative wristwatch never needs a battery. Instead, the AT4010-50E harnesses the power of light from any natural or artificial source and converts it into energy. This energy is then stored in a permanently rechargeable lithium-ion cell, meaning that the watch continuously recharges to run forever. While light doesn’t power the Seiko SKX173 Watch, the automatic timepiece still doesn’t require a battery thanks to its ability to wind itself with the motion of your wrist. Along with that impressive feature, this top dive watch, which is water-tested to 200m and suitable for scuba diving, also boasts a stylish stainless steel case design. The black dial with three-hand function features easy-to-read bar markers and an English/Spanish day/date window at the three o’clock position. On top of that, this 21-jewel watch also includes a screw-down case and crown and a one-way rotating bezel that keeps track of elapsed time. 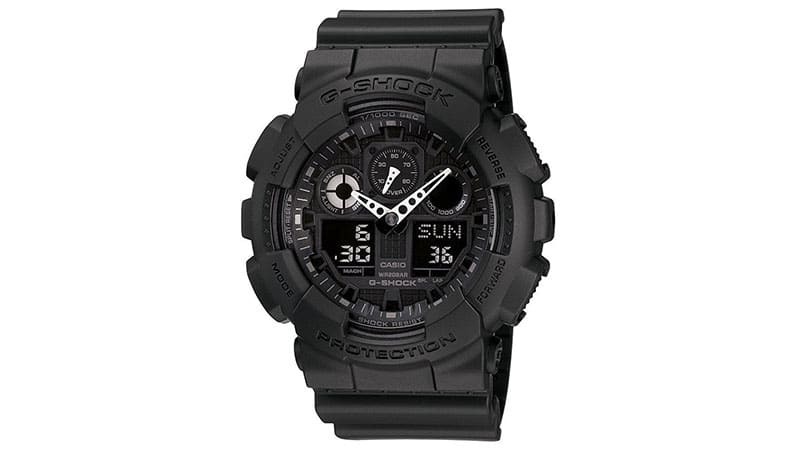 G-Shock is one of Japan’s most iconic watch brands and has garnered a reputation as the ultimate tough-guy label thanks to its heavy-duty, functional designs. The GA 100 Military Series Watch is no exception to this notion and perfectly encapsulates what the brand has to offer. Featuring a chunky, matte black case and resin band, this analogue and digital watch boasts an awesome masculine design with high functionality. The timepiece, which is shock resistant and water resistant to 200m, features a 1/1000th-second stopwatch with speed indicator, full auto-calendar programmed until 2099, four daily alarms, and a world time function with 29 time zones. 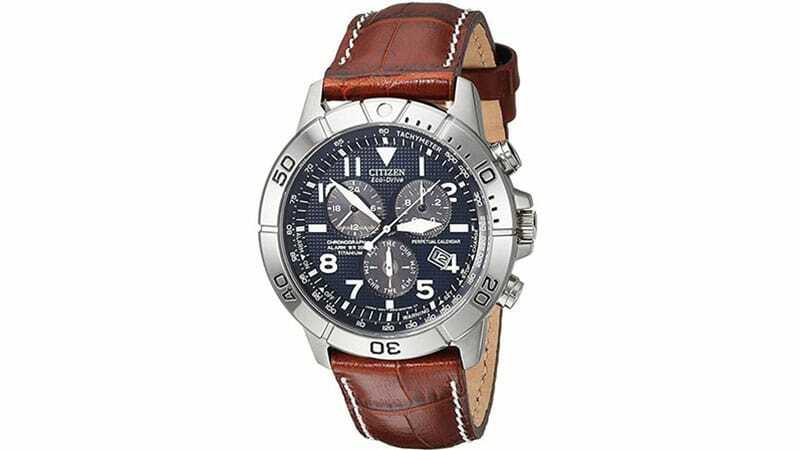 Like Citizen’s AT4010-50E, the brand’s BL5250-02L watch also boasts Eco-Drive technology, meaning that light powers it. But, just in case you or your watch don’t get into the light too often, the timepiece features a low charge indicator, power saver function, and advises when a time reset is required. As for design, the BL5250-02L features a titanium case, black dial, textured subdials including a chronograph, and brown leather band with contrast stitching. 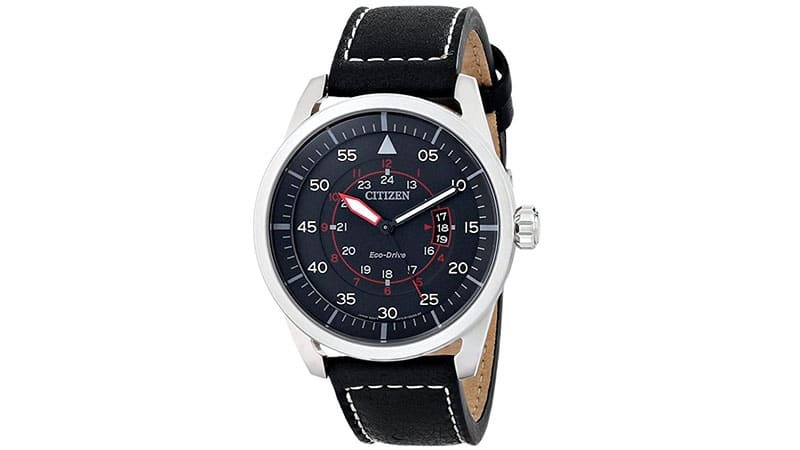 Additionally, the watch includes a Japanese quartz movement, date window, unidirectional bezel, tachymeter, alarm feature, and is water resistant to 200m. 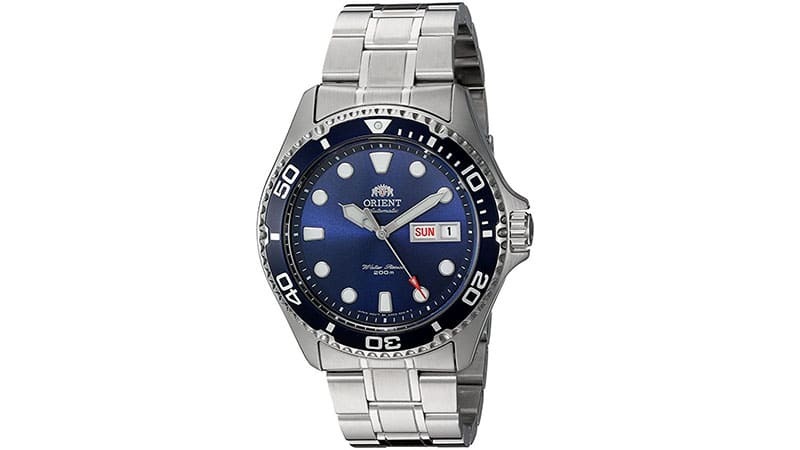 Japanese label, Orient prides itself on creating timepieces that are a “watchmaker’s watch”. As such, the brand focuses on producing straightforward mechanical watches that are robust and trustworthy. The FERA004D0 Flight Stainless Steel Watch is just that and features Orient’s calibre 48743, which is an automatic winding mechanical movement. 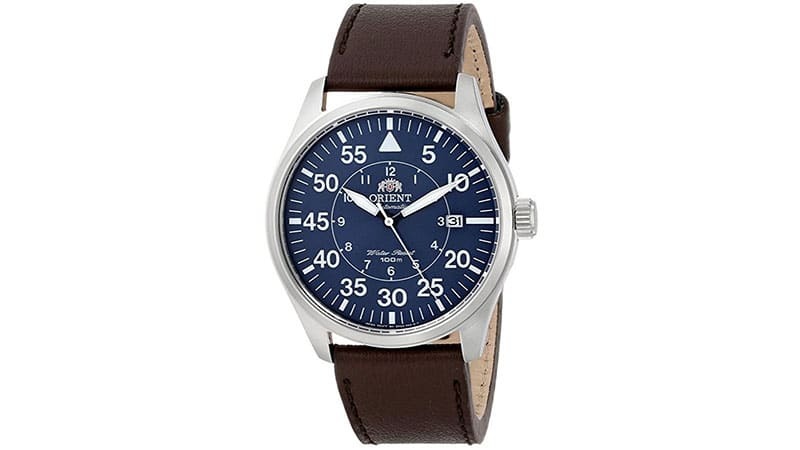 The watch’s design is stylishly minimal and features a 42mm round, stainless steel case, blue face, and brown calfskin band. The fuss-free analogue display contains outer and inner dial numerals, sword hands, and a date window while a fluted crown and smooth bezel complete the design. 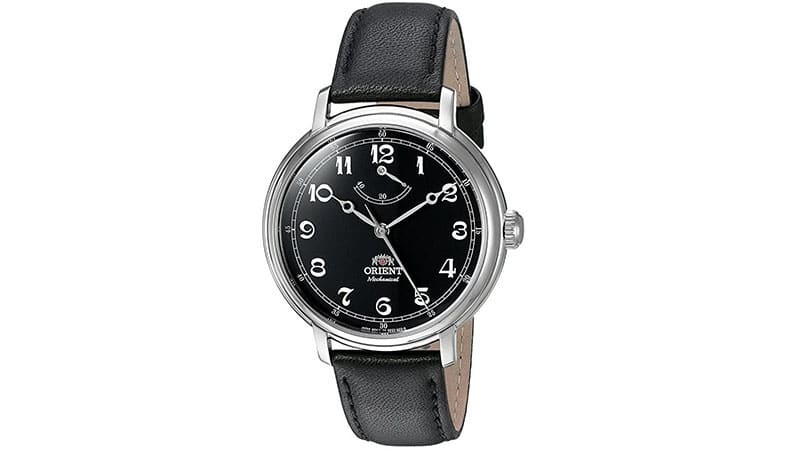 When it comes to vintage-inspired timepieces, Orient’s FDD03002B0 Monarch Watch is one of the best. The sophisticated wristwatch boasts a timeless aesthetic that is rich with elegance, grandeur and exquisite details. An ode to the classic timepieces from history, the watch features a modest diameter of 40mm, a semi-domed crystal case, and a black dial with antique-styled hands and Arabic numbering. Staying true to its historical personality, the Monarch is not an automatic watch. As such, it must be wound be hand, just as the traditional timepieces of the past. The Citizen AW1361-01E Avion Sport Watch is a vintage-inspired timepiece that’s reminiscent of transatlantic flights from the 1950’s. The design, which takes cues from the golden age of travel, boasts a rich black leather strap with contrast stitching, a stainless-steel case, and a black dial. Housed inside a 45mm case with a mineral window, the dial features an analogue display with markers for 12/24-hour time and 60-seconds, as well as a date window. A quartz movement and 100m of water resistance also help to make this timepiece one of the best Japanese watches available. 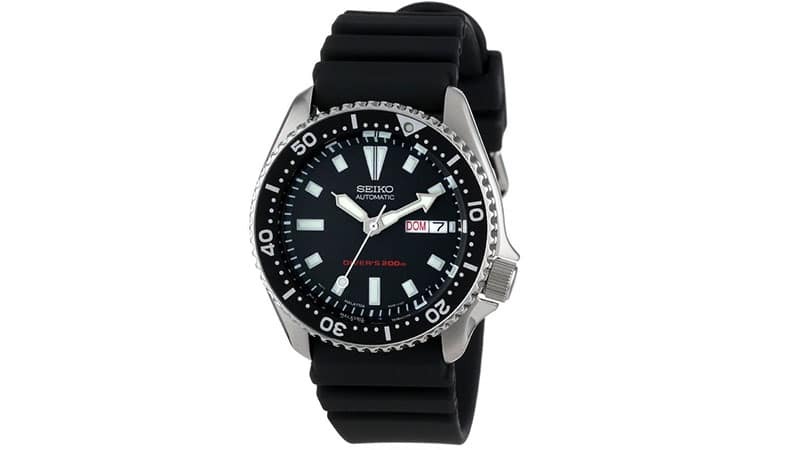 The Seiko SNK805K2, which is part of the Seiko 5 series, is perfect not only for your next outdoor adventure but also for a casual evening on the town. 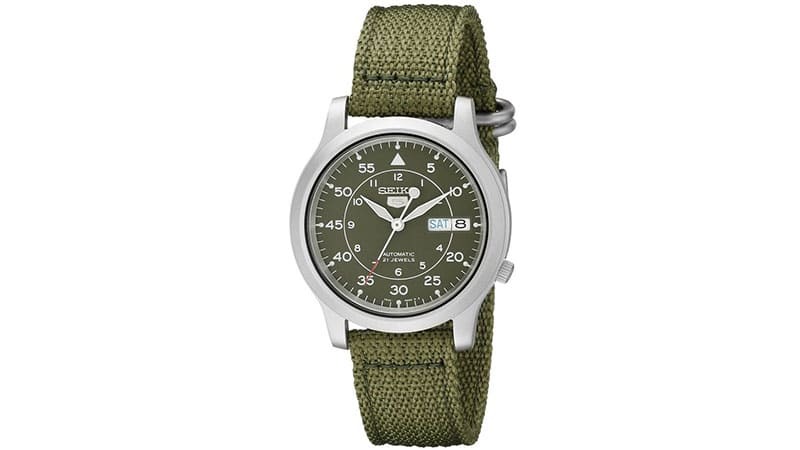 It features a stylish, military-inspired design with a durable green fabric strap and green dial to match. The watch’s dial also boasts easy-to-read Arabic hour and minute markers, silver-toned hands, and a day/date display at the three o’clock position. Housed behind the dial is a precise 21-jewel automatic movement that impressively works to keep this watch ticking without a battery. The Ray 2 is the new and improved version of Orient’s best seller, the Ray. This updated design boasts an upgraded calibre F6922 movement with 22 jewels and a new, hand-winding capability. It also offers its wearer a new hack function that stops the second hand when the crown is pulled out. This feature allows the wearer to sync time with ease. On top of all that, this improved timepiece, which appears trimmer and more simplified than its predecessor, also boasts a 120-click unidirectional diving bezel and exceptional luminescence for visibility in low light situations. Casio is another big-name brand to come out of Japan and makes plenty of great watches alongside its many electronic products. The Aviator-Look Bracelet Watch is one such timepiece and is a fantastic product from the label. 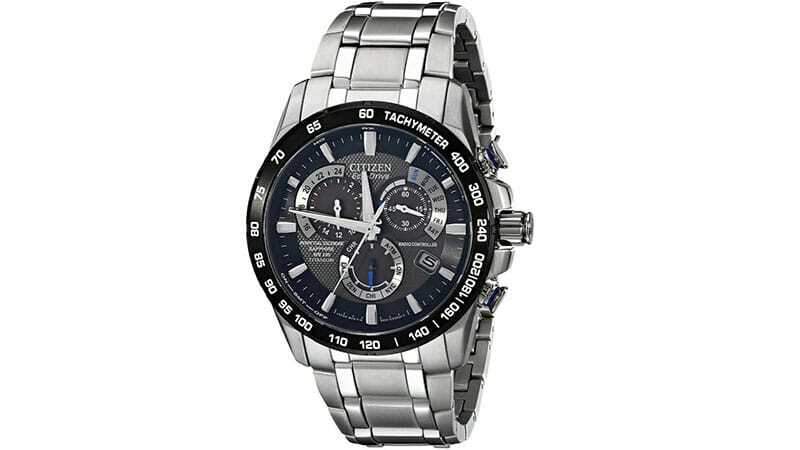 The wristwatch, which features a case and band made from stainless steel, is classically stylish. Although the look is polished and impressive, it’s this timepiece’s functionality that really wows. 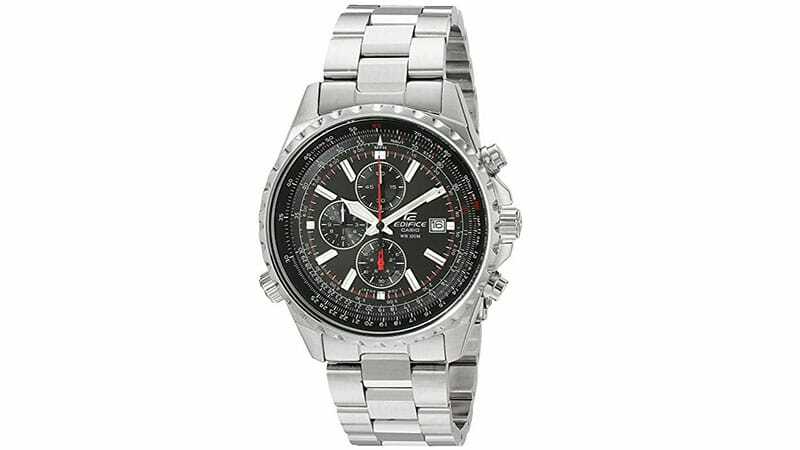 100m of water resistance, a 1/20-second chronograph function, and a slide-rotating inner bezel, which allows for precision measurement and calculations like time, speed, and fuel consumption, all make this watch worthy of your money.